Reading and share top 1 Dave Allison famous quotes and sayings. 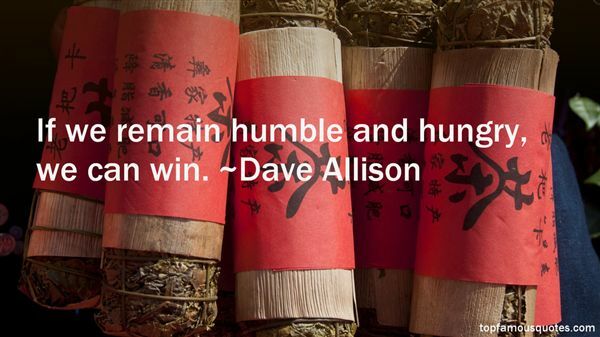 Browse top 1 most favorite famous quotes and sayings by Dave Allison. Tommy, I'm going to tell you something I've never told anyone before. If you repeat it, I'll deny I said it. Five years ago I saw a white owl with a seventy-foot wingspan swoop out of the sky and pluck a demon off a hillside and take off into the sky. ""I heard that cops get the best drugs," Tommy said."